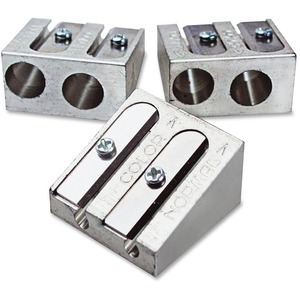 Two-hole sharpener features an all-metal construction for durable, consistent performance. High-quality steel blades stay sharp longer to reduce the effort needed when sharpening. Compact design stores virtually anywhere to keep your writing utensils sharp wherever you go. Sharpener is designed for use with standard graphite pencils and colored pencils (each sold separately).